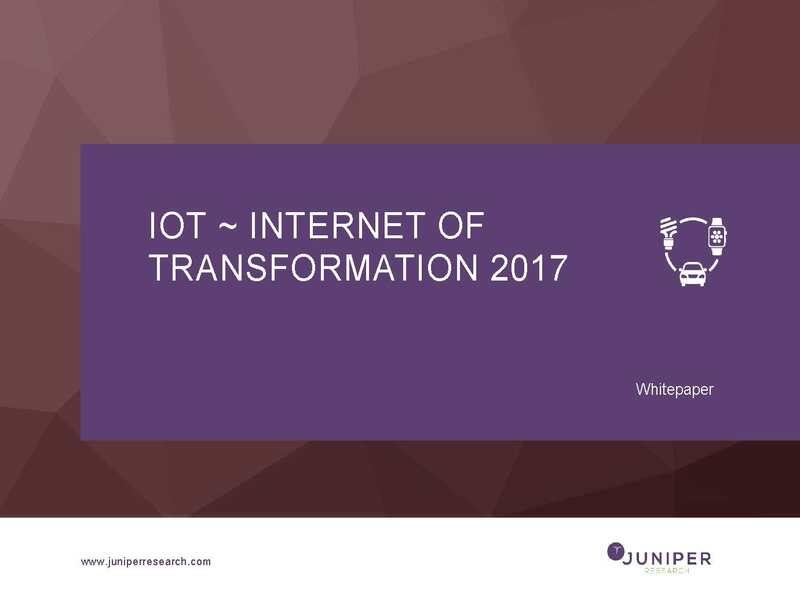 HAMPSHIRE, UNITED KINGDOM--(Marketwired - January 23, 2017) - New data from Juniper Research has found that the consumer IoT (Internet of Things) installed base will reach over 15 billion units by 2021, an increase of 120% over 2016. As evidenced at the CES show earlier this month, embedded connectivity is increasingly being used as a product differentiator. Juniper cautioned that the vast scale of this connectivity will, unless action is taken, lead to an unmanageable cybersecurity risk created by botnets in excess of 1 million units. 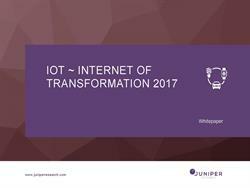 Juniper's latest research, Internet of Things for Security Providers: Opportunities, Strategies, & Market Leaders 2016-2021, found that recent IoT botnets will prove merely to be the tip of the cybersecurity iceberg. Botnets were uncovered as a key factor in the largest DDoS (distributed denial-of-service) attack ever recorded last year. The report found that the use of botnets to disrupt Internet services form part of the near-term threat landscape. It predicted that botnets will be used for more malicious purposes in future, impacting consumer, industrial and public services markets. "Attacks such as those on Dyn last October can be viewed as proof of concepts," noted research author Steffen Sorrell. "In the medium-term, botnets will be used far more creatively -- not only to disrupt services, but also to create a distraction enabling multi-pronged attacks aimed at data theft or physical asset disruption." The research called on IoT device manufacturers to 'take responsibility' by implementing security-by-design, adding that corporate-scale vendors such as Amazon, Google and Samsung should lead efforts to galvanise other vendors to apply security best-practices. Additionally, the research found that the market is wide open for challenger cybersecurity vendors. It highlighted providers such as Crossword and Positive Technologies who are using machine learning to disruptively protect against DDoS and malicious network activity. It predicted that the industry will be forced to move beyond traditional signature-based detection methods in the near-term in order to address IoT cybersecurity effectively.